The Club de Campo de Córdoba (Cordoba Country Club) is a sports and social centre situated in the Sierra Morena hills only 15 minutes from the city centre, in a delightful setting with wonderful panoramic views of the surrounding countryside. The club covers a total surface area of 70 hectares, among forests of pines and holm oaks. 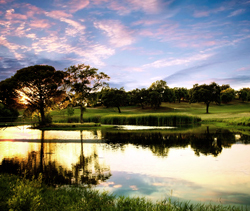 Its main facilities consist of a magnificent 18-hole golf course (Par 72), set in beautiful countryside where native fauna abounds. As well as the usual golf club facilities such as a social club, restaurant and hire of sports equipment, there are also swimming pools, tennis courts and paddle-tennis courts.